Car accidents are a devastating yet all-to-real part of life. It is estimated that drivers will be involved in an accident once every 18 years, therefore, an average driver could be involved in more than two accidents in their lifetime. Although some accidents are minor scrapes others lead to the loss of a loved one. A fatal car accident is often devastating on family members the friends who were close to decedent. Although motor vehicle travel is the primary means of transportation in the United States if it also the fifth leading cause of death. Of all unintentional accident deaths, motor vehicle traffic was the second leading cause preceded by poisonings. If you have lost a loved one in a fatal car accident, did you know that you may be entitled to compensation for medical expenses, pain and suffering, and more? An auto accident law firm can help you determine what your legal rights are. The auto accident legal team at Harbin & Burnett have decades of experience helping injury victims and their families to fight for the justice they deserve. To find out how we can help you, call us today at 1(888)821-0247 or fill out the FREE CASE EVALUATION form to your right for a no-cost, no-obligation review of your fatal car accident claim today its completely confidential. Federal and state administrations often gather data on car accidents to determine why they happen and how they could be prevented. Such data can lead to additional traffic lights, speed bumps in neighborhoods where speeding drivers often pass, and more. In South Carolina, the following information was indicative of fatal car accidents in 2009. There were more than 800 fatal reported that year, a 16.6% drop since 2005. Pick-up trucks and SUVs were most frequently involved in fatal accidents. The number of fatal SUV accidents actually increased by 8.6% between 2008 and 2009. Fatal accidents involving truck tractors also increased between 2008 and 2009. 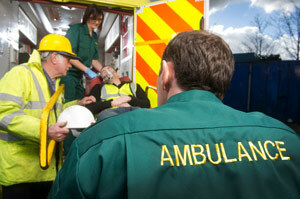 Since 2000 the number of fatalities has decreased by more than 15%. The number of fatalities in 2009 was the lowest since 2005. Fatal collisions were primarily caused by a driver error followed closely by a non-motorist factor such as pedestrian interference. The number one cause of fatal collisions in the state was driving under the influence followed by driving too fast for conditions. In more than 40 fatal accidents non-motorists were under the influence or illegally on the roadway, some were even lying in the roadway. More than 80 fatal collisions involved the vehicle overturning. Male drivers between the ages of 20 and 24 were most frequently involved in fatal car accidents; however male drivers 25 to 29 were not far behind. Much of the information provided by the South Carolina Department of Public Safety can help drivers learn how to prevent accidents. For example, eight fatal accidents involved vehicles with tire issues which could include faulty products or simply worn and overused tires. Drivers should take into consideration these factors to help them be more cautious while out on the road. If you have a lost a loved one in a fatal car accident, you have lost a companion and suffered monetary damages along with the pain the suffering. At the law offices of Harbin & Burnett we understand how devastating such a situation can be, but also believe that victims of such tragic incidents should fight for their rights. A good attorney can help relieve stress in troubled times, our goal is to stand by you in your time of need. Our lawyers will work hard to help you get very dollar you deserve in the minimum time possible. Contact us at 1(888)821-0247 to schedule a no-cost, no-obligation review of your fatal accident claim. One of our steadfast intake staff members will connect you with one of our lawyers best suited in handling your claim. If you would like to contact us online, fill out the FREE CASE EVALUATION form at the top right hand corner of this page its FREE to submit and strictly confidential. Harbin & Burnett - proudly helping to provide justice to victims and their families throughout South Carolina.